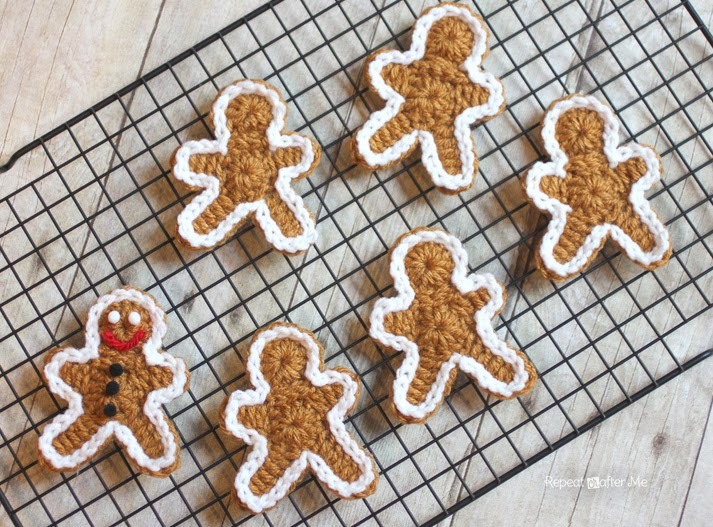 No need to worry about putting on extra weight during the holidays we these calorie-free crocheted gingerbread man cookies! 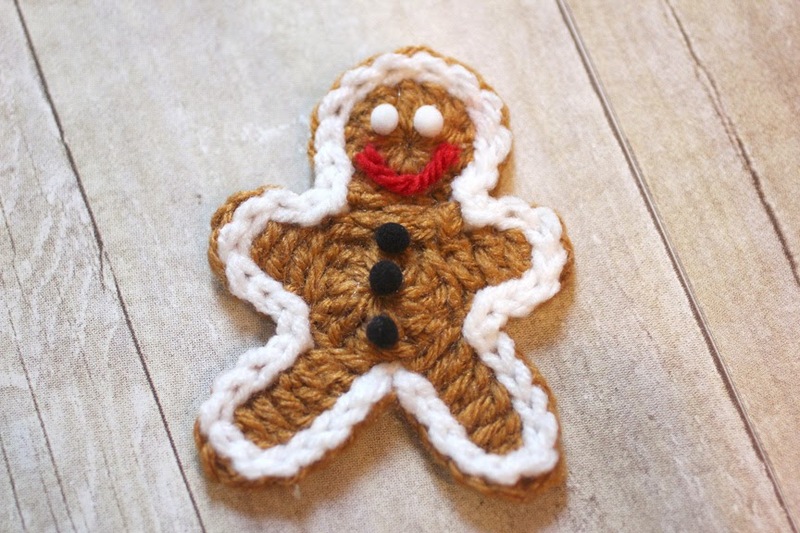 Great as an appliqué, ornament, or holiday decoration. 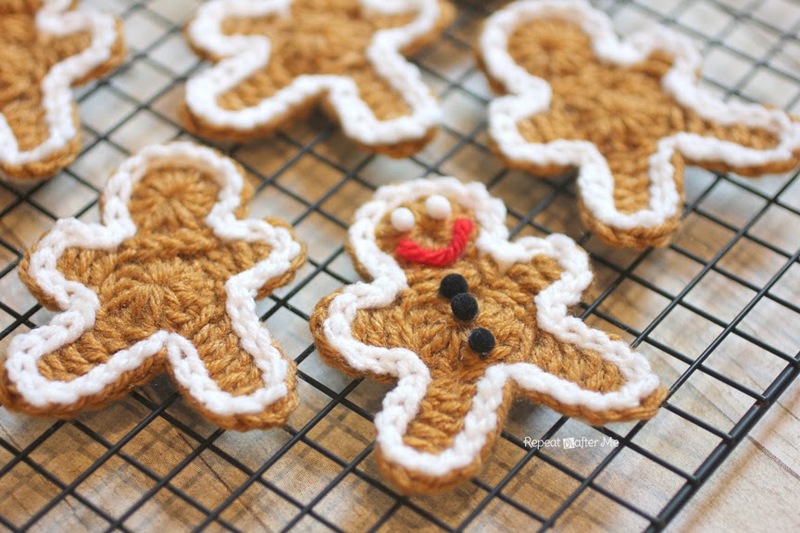 String them together for some gingerbread garland! 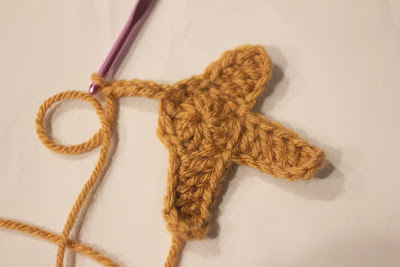 Or sew two together and stuff with a little poly-fil to make a little stuffed toy. Finished gingerbread man measures approx. 3.5" x 2.5". - Worsted weight yarn in brown and white. 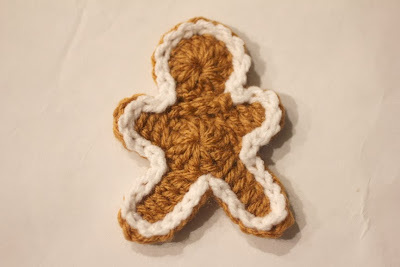 I used Lion Brand Vanna's Choice in Honey which is a great gingerbread color! - Small pom-poms for eyes and buttons and a little piece of red yarn for the smile. DC in 3rd chain from hook, and in next 2 chains, (now you are back to your 10 DC round) skip one stitch and join to next DC stitch. 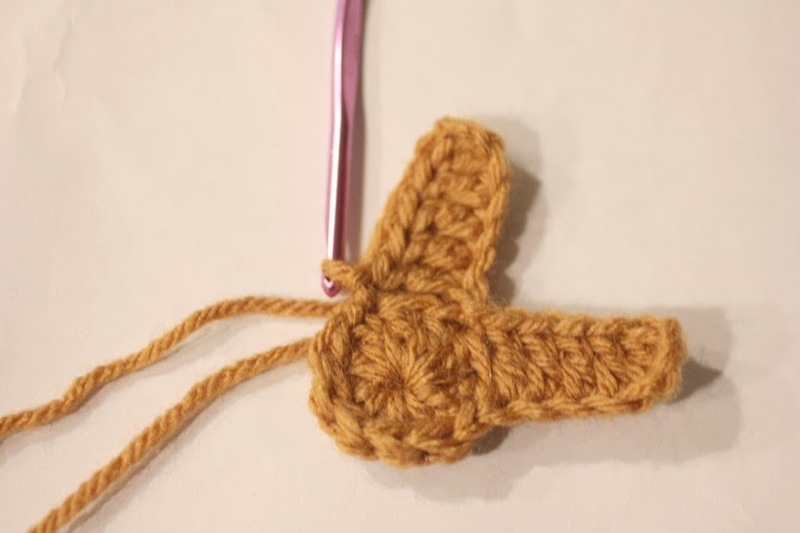 Slip stitch in next two stitches. 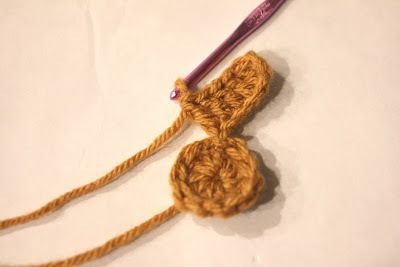 Magic ring, ch 2, make 12 DC in ring, join to first DC, fasten off and weave in ends. 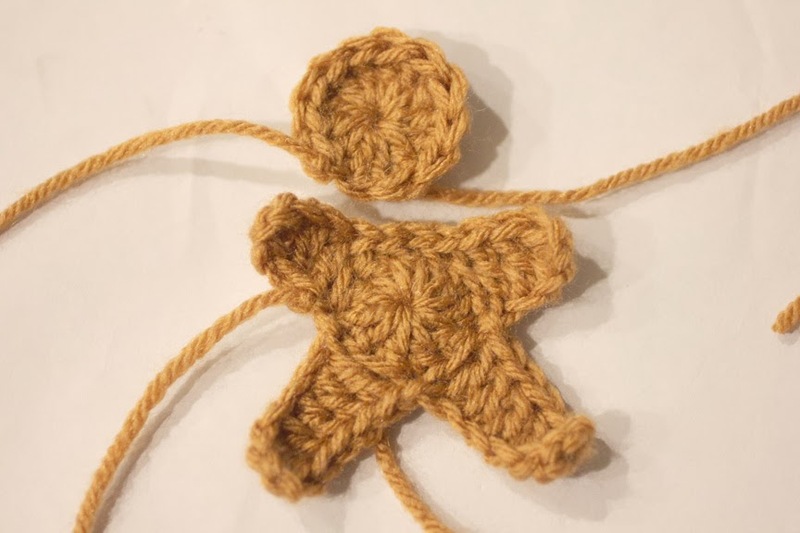 Attach circle (head) to body with tapestry needle. 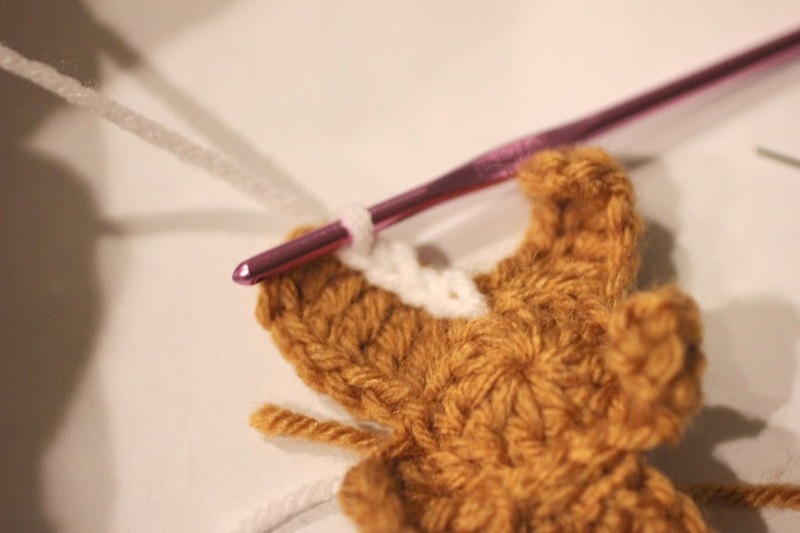 Surface slip stitch around entire edge if body. HERE is a great tutorial on how to make surface slip stitches. 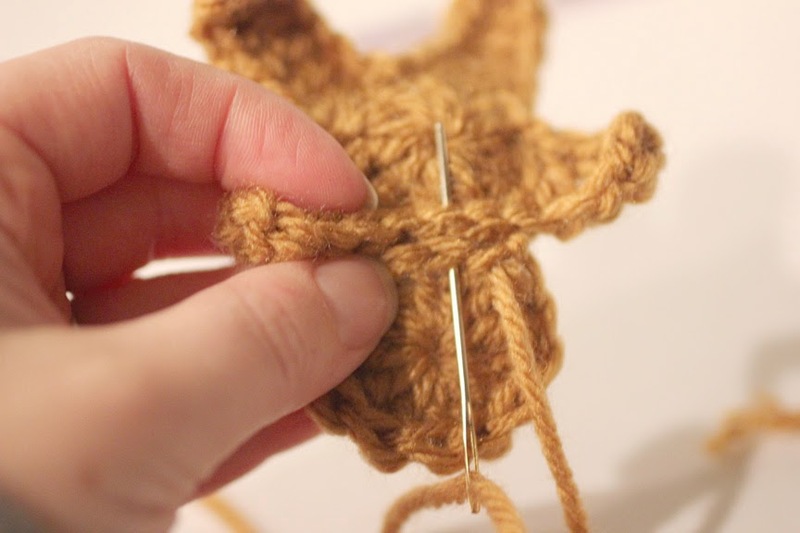 Glue or stitch on face and button embellishments if desired. I used small pom-poms from Craftprojectideas.com for the eyes and buttons. They came in this package of Rainbow Assorted Poms. You can find them HERE or at Walmart stores. I glued them on along with a small piece of red yarn for the mouth. 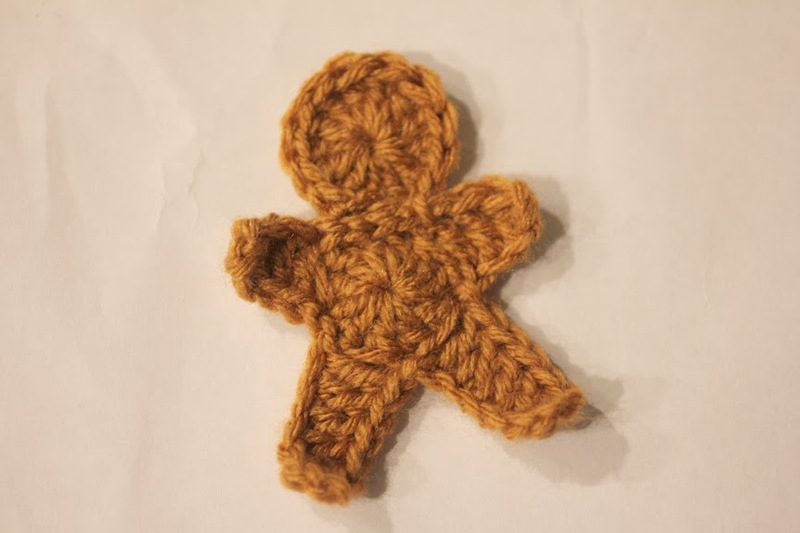 You could stitch on a smile or crochet small buttons and eyes as well. You can leave the gingerbread man "nudie"
What season are we in again? Ok, you can stop laughing at any time..